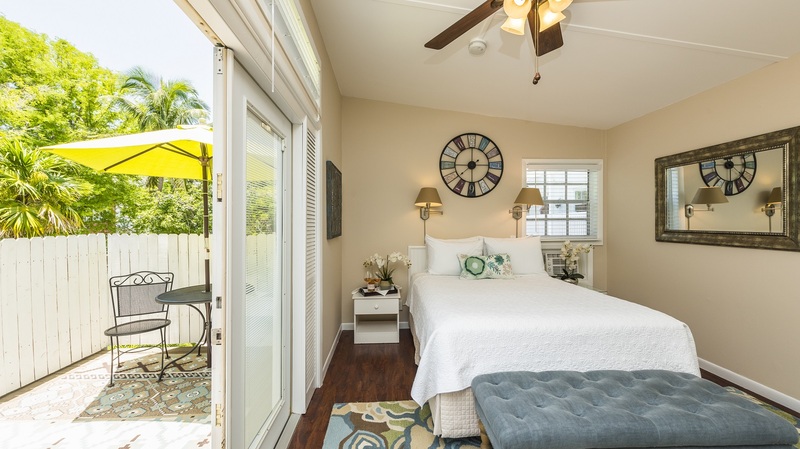 The Tamarind room is a Queen bedroom located in the modern Carriage House. 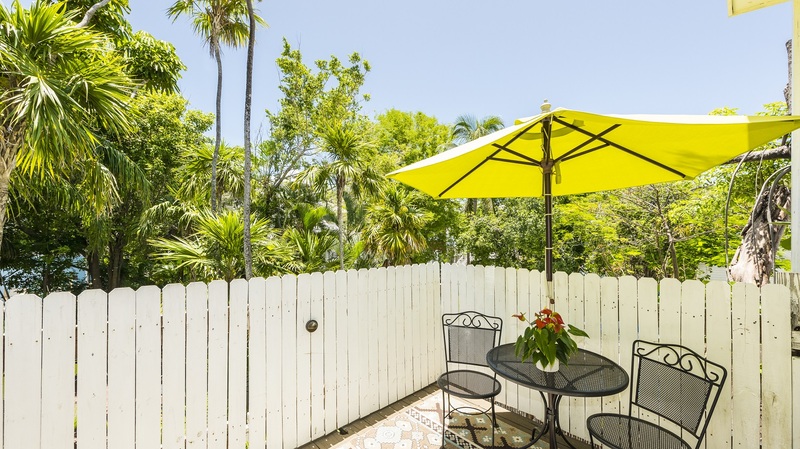 It shares a spacious deck with the Jacaranda room. 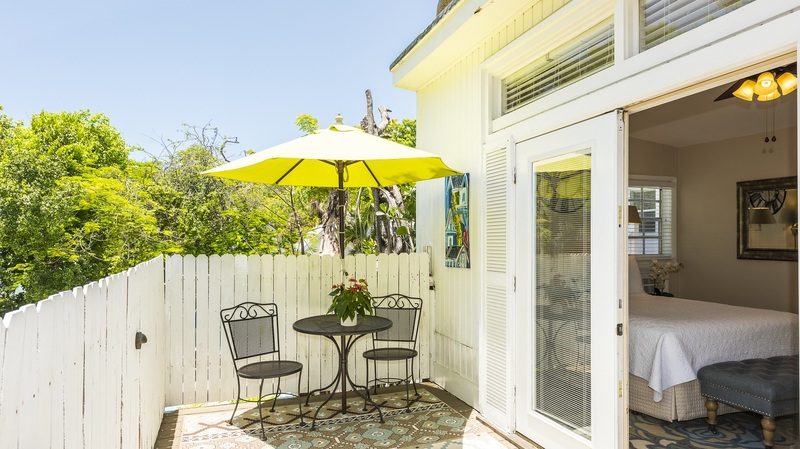 For 2 couples traveling together, book both rooms and enjoy late night drinks on the spacious deck overlooking one of Key West’s first tropical gardens. 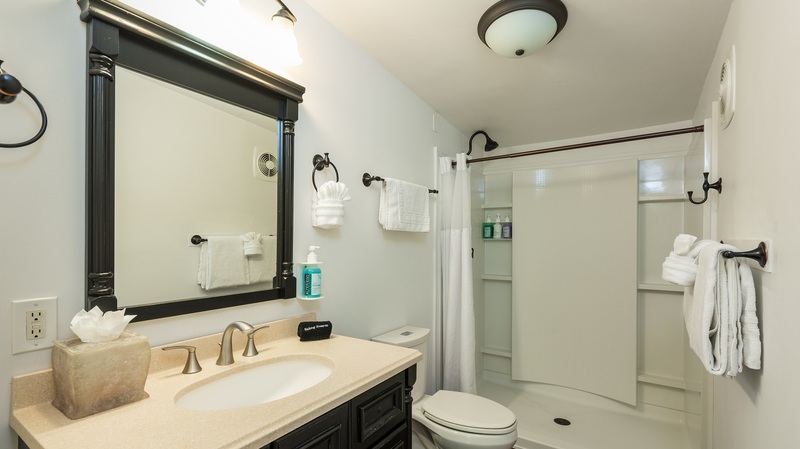 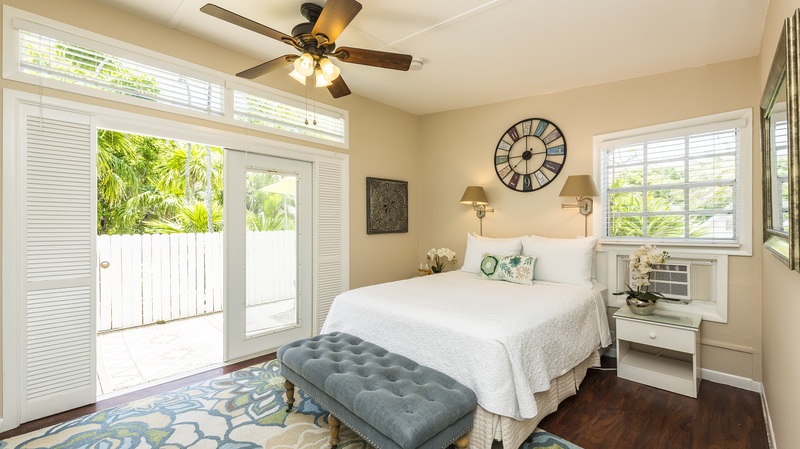 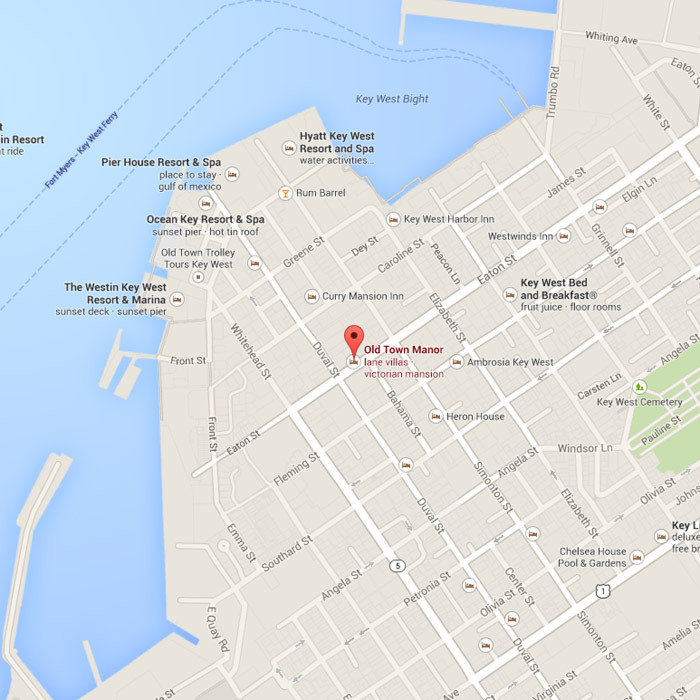 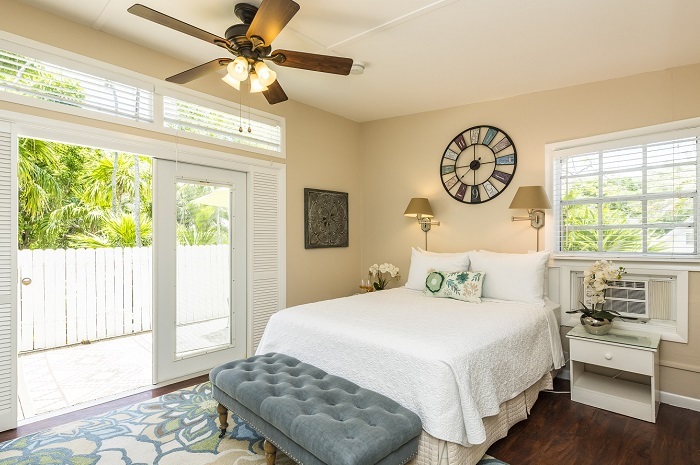 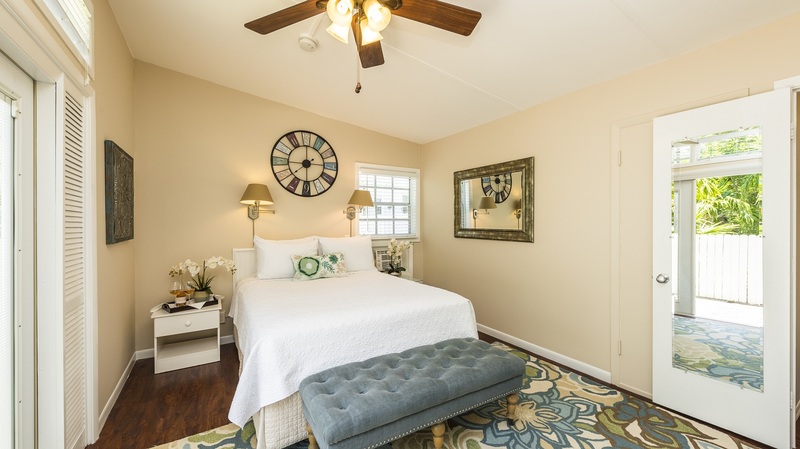 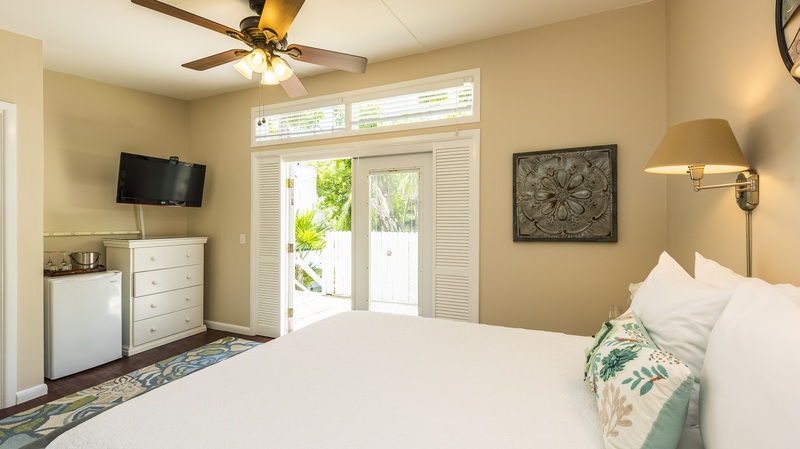 This room is a favorite ‘Return Guest” choice for their vacation in Key West!